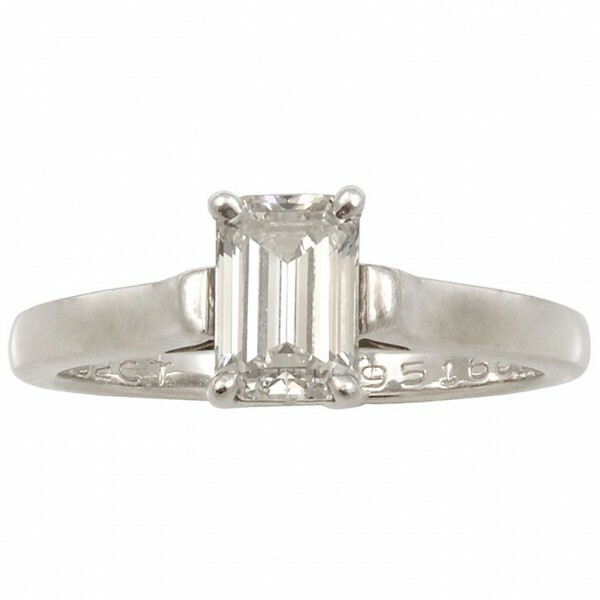 2.09 carat J color, VS2 clarity emerald cut diamond engagement ring with four tapered baguettes, set in platinum. 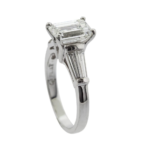 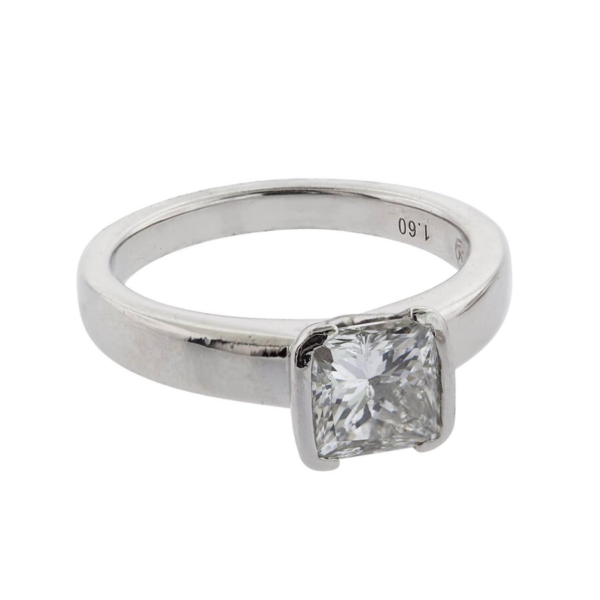 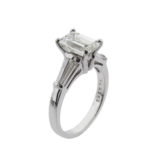 The emerals cut diamond is set in a platinum four prong basket. 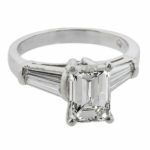 The four tapered baguettes have a total weight of .40 carats and are graded as H/I color, VS clarity.